When the holidays come I know all I do it is eat and eat and then east some more. It's bad and delicious all at the same time. My sweet tooth is my downfall. I like seasonal candies and desserts. I can't stop eating minty candies because, to me, mint is the pumpkin of the Christmas season. 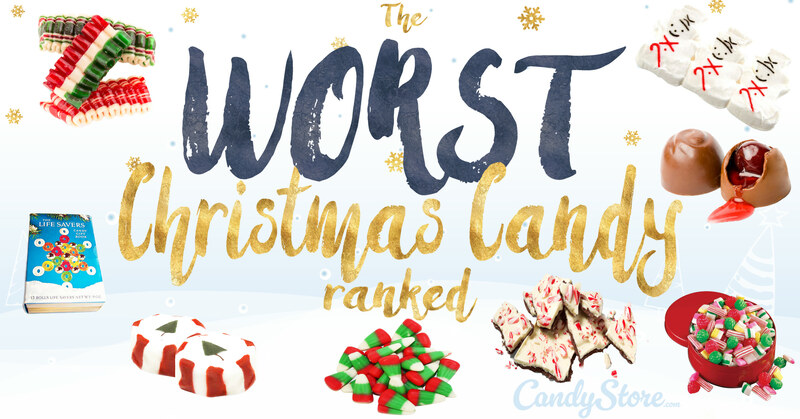 So I have to mention that I was shocked and surprised to the list of the "The Absolute WORST Christmas Candy, Ranked" from CandyStore.com. #4 Peppermint Bark - this should not be on the list at all! I really like peppermint bark. #3 Peeps - I associate them with Easter more than Christmas but they do make them for other holidays. #2 Reindeer Corn - to me this looks like the Christmas version of candy corn that you'd see on Halloween except the color are red, white and green. #1 Christmas Tree Nougat - these look fun. I haven't tried them, but by the looks of it they don't look tasty. But I shouldn't knock it before I've tried it. 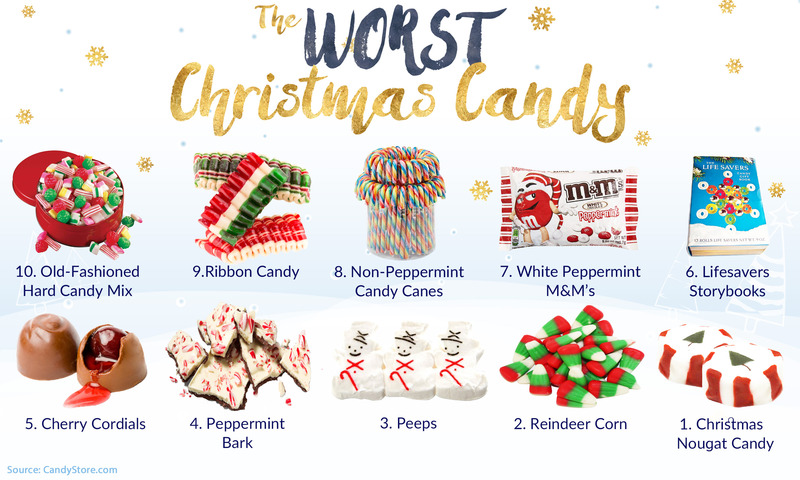 As a bonus, they listed a #11 and it's Peppermint Candy Canes. How could they do that to what seems like the official candy of Christmas? !